Welcome to the Unicorn class page; please check back regularly for updates of our learning and achievements. Our class consists of 28 year one children; Mrs Bray and Miss Heckler teach us to be kind, considerate and work together as a team, we aim for a happy and fun class room to enable us to broaden our minds, become independent and reach our potentials. Parents evening will take place Monday 25th March and Wednesday 27th March, please ensure you have booked your appointment. An appointment booking sheet is located in the cloakroom. Thursday 7th March is World Book Day! Everyone is invited to attend in fancy dress for the day, there is no specific theme this year. Please come dressed as your favourite book character. Please ensure all reading books are returned to school every week by Friday. Thank you. Last Day of term- Friday 21st December. Important information will be updated weekly; please check for regular reminders. School disco Wednesday 24th October. Tickets are now available from the school office. Inset day Friday 26th October. Homework and Reading books will be sent out every Friday; please complete and return to school every Wednesday please. Please read to with your child 3 times per week as a minimum. PE will take place every Tuesday and Wednesday. Please ensure you have your PE kits on both of these days. We follow the Read Write Inc programme and have been learning new sounds everyday that we use to help read our book. 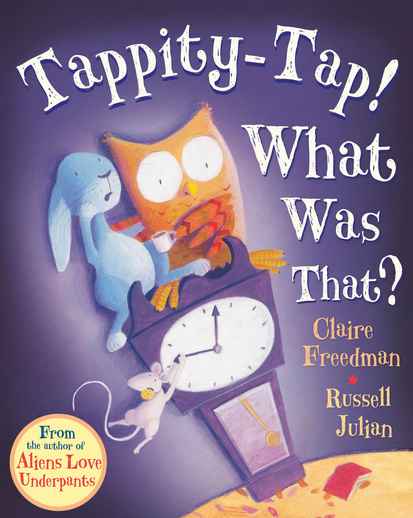 A new book is introduced every week and is sent home on a Friday to allow further reading practice. 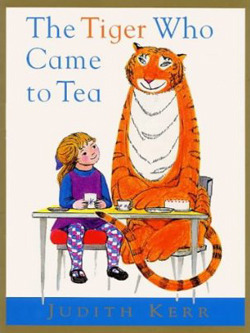 Our key text for this half term is 'The tiger who came to tea' by Judith Kerr. We have produced some really good work on our key text by re writing the story. 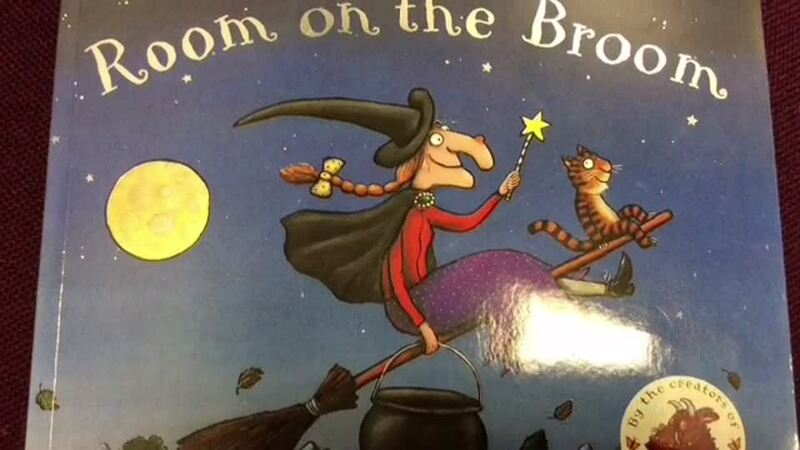 We have also written our own version of the story. 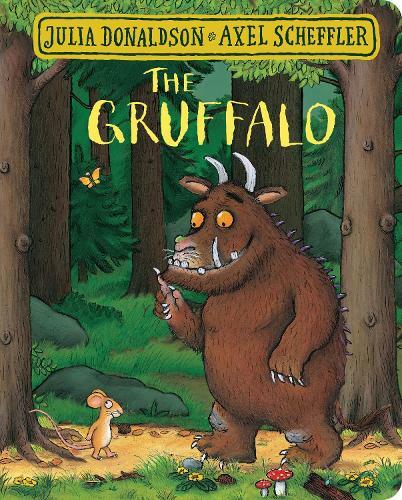 Our key text this half term is 'The Gruffalo' by Julia Donaldson. This week we have been working with the theme 'This is me'. The children have been working very hard explaining to their new teacher all about themselves. The children have drawn self portraits and written about their favourite things; we used the book 'Dogger' to support this. The children have also been discussing their feelings and have written about what makes them happy and sad. We also spoke about the outside of our bodies and labelled our body parts. The children especially enjoyed drawing around their friend to help with the labelling! This week we have been dividing numbers by 2, 3, 5,4 and 5. We have used different apparatus to support our learning. We have used arrays and numicon to support us to find answers to multiplications. This week we have been working on our subtraction skills and used number lines to make jumps to answer subtraction questions. We also looked at word problems. This week we have been extending our knowledge of division and adding two digit numbers to one digit numbers. This week we have been looking at multiples and used the 100 square to find multiples of 2, 5 and 10 by counting on. This week we have revisited place value and recognising the value of two digit numbers by using apparatus to find the tens and ones in numbers up to 100. We also helped Mrs Bray when all the numbers disappeared off the 100 square by working in our groups to write them back on. This week we have been learning more about time. We have put the days of the week in order and discussed activities on each day. We have also put the months of the year in order and linked them to special events for each month. We added our birthdays to a months of the year washing line to display on our maths working wall. We have learnt the vocabulary associated with position and direction to describe movements or positioning. We enjoyed going outside and using directional clues to send our friends to different areas of the playground. This week we have been learning about repeated patterns with shapes and objects. We have made our own patterns and completed patterns using shapes and resources. During week four we have continued our learning about time. We used a timer to show how many times we can complete tasks in one minute. For example we counted how many times we could draw a hour in a minute. Mrs Bray has introduced us to telling the time; we have labelled the hands on the clock to show the give time of o'clock or half past. We have also made our own clocks. This week we have continued in our learning about money and we have worked with Mrs Bray to find out how much change we would have when we bought pets from the pet shop. Miss Heckler has supported us to play a coin bingo game. This week we have started learning about money. We have been looking at coins and matching them to their values. We have been learning to recognise, find and name half of shapes, objects and quantities. Mrs Bray helped us to find half of a quantity by sharing into two groups, we then drew half of the number shown as candles on a birthday cake. We also found half of a shape by folding it and colouring in half. We did so well that we have started looking at quarters of shapes. In week 4 we have made half and half or quarters pizzas using paper. We also looked at quarters of objects by making jam sandwiches and cutting them into quarters. During week 5 we have shared real fruit between two to find half of a quantity. We have also played a game of fraction bingo. This week we have been halving numbers by sharing them equally into two groups. Mrs Bray helped us find half of 1 digit and 2 digit numbers by sharing out counters. We also found half of a number by sharing cubes into two hoops. This week we have been introduced to multiplication. We have been doubling quantities in different ways. Mrs Bray helped us to double the numbers we rolled on a dice by drawing spots on lady birds. Miss Heckler helped us to double the number of cubes we had by looking in the mirror. We have been looking at 2d shapes this week and looking at the properties of the shapes by looking at the number of sides the shapes have. We also looked at shapes in our environment. During week 6 we have been learning about subtraction. We used numicon again to help us with the calculations. We also worked with a partner and numicon spinners to use random numbers within 10 to create our own subtraction calculations. This week we have continued to concentrate on addition and further practice using number bonds within 10. We also practiced our skills further by applying this knowledge to add single figures together to find their totals. We have used numicon and unifix cubes this week. Using Numicon to explore number bonds. This week we have been introducing addition into our maths work and looking at number bonds. We have used a range of equipment to support our learning this week. We have continued our focus of Place Value. This week we have explored making one less and one more than any number up to 30. We have used our number lines to help us and used a variety of equipment. Our focus this week is Place Value; we have been learning about different ways in which we can represent numbers by using marks, pictures and equipment. We have been introduced to our maths focus for the next three weeks which is; Place Value. We have been practising counting within a 100 square, starting at any number. We have also counted back and our work enabled us to fill in the missing numbers on a number line. This week we discussed that the Tour de Yorkshire world be coming to Mapplewell. We watched a video clip of last years race in Barnsley. We have also made bunting and a sign to be displayed in the local community for this special event. We are looking forward to finding out more after the Easter holidays!! We have found out more about Mapplewell this week. We have found out more information about miners following our walk to see Mapplewell and finding the mining memorial. We all asked questions about Miners and we looked up this information using google. We also drew observational sketches of a miners oil lamp. This week we have produced our own plans for a shop for Mapplewell. We then produced the shop using our designs and choosing our own materials. The Unicorn Class street is displayed in the classroom. This week we have looked at different scenery and discussed the difference between physical and human features. This week we started looking at features of a map. To enable us to do this we went for a walk around Mapplewell. To begin our new topic 'We are Mapplewell' we have had lots of discussions about who we are, where we live and how everyone is unique. To explore this idea further we have had lots of fun getting creative and drawing and painting self portraits. We also held an art gallery and tried to guess who each portrait belonged to. We have been very busy this week practising our songs for the Christmas performance. We are so excited and can't wait to perform to our friends and families. This week we became newspaper reporters and wrote an article for "The Unicorn Times" telling people about the first moon landing. We really enjoyed this. This week we found more information about Neil Armstrong and the importance of the moon landing. The children built rockets with lego this week. We also wrote a diary of how Neil Armstrong might have felt about being on the moon. We are finding out about the moon landing and have been writing about who the first man on the moon was. We also created space pictures on black paper; we added Neil Armstrong placing the flag on the moon. Our new topic is all about Explorers. We have started the new topic by discussing what we already know about Explorers and sharing the brilliant homework projects the children completed over the half term holiday. This week we became Explorers in the Rainforest and looked at equipment we would need to take on an expedition. We also made binoculars using paper cups and tissue paper. We then used the binoculars as we watched an expedition to the Amazon Rainforest and we pretended we were there. The focus for this week has been all about animals. We have found out what animals are carnivores, herbivores and omnivores. We then used this knowledge to form symbol food chains. We have worked in small groups and enjoyed working together as a team. This week has been very exciting for all of us; we have learnt about different insects in the rainforest and we have had some visitors in school. On Tuesday we had a visit from Zoo lab and were introduced to animals and insects we might see in the wild. We especially liked Gary the Giant Land Snail. We have revisited our world maps and discussed what we could remember about the seven continents. We did very well. We then looked at different animals around the world and added them to our maps. This week we have continued our Geography theme and have put together a booklet about the seven continents. We also focussed on Africa during an Art lesson and created a watercolour Sahara Desert scene. Our topic for this half term is The Bare Necessities; we will be learning about our World and the animals and creatures that live in it. We will also focus on Rainforests. This week we have looked at our world and located the seven continents and five oceans on our own maps.